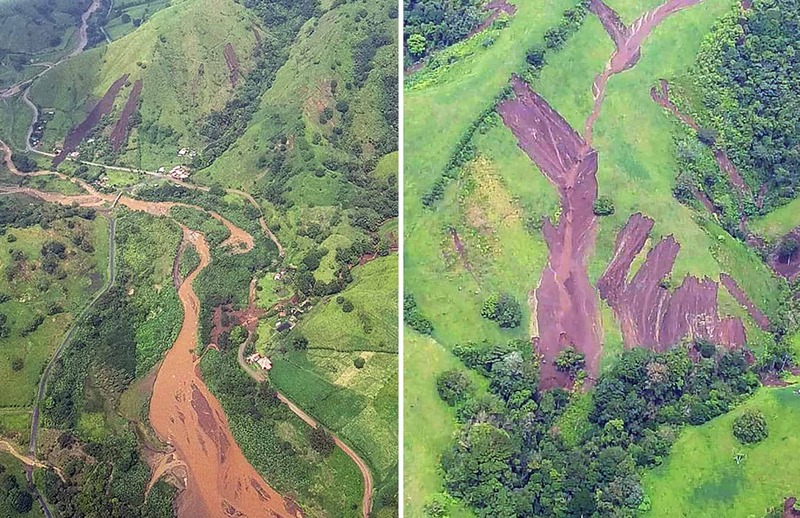 The heavy rains affecting various regions of Costa Rica since Wednesday have resulted in landslides in the province of Guanacaste. Debris from the landslides blocked roads and caused losses at several farms. The National Emergency Commission (CNE) issued a Yellow — Preventive — Alert on Thursday evening for all communities in the canton of Tilarán, one of the areas most affected by landslides. The passage over Costa Rica of a tropical wave that entered from the Caribbean on Wednesday prompted an increase in rains in the past two days. Floods and landslides from persistent showers have already caused severe damage to roads, aqueducts and crops, and have killed livestock. The most affected farms are those located in the communities of Viejo Arenal, Nuevo Arenal and Tronadora de Tilarán. 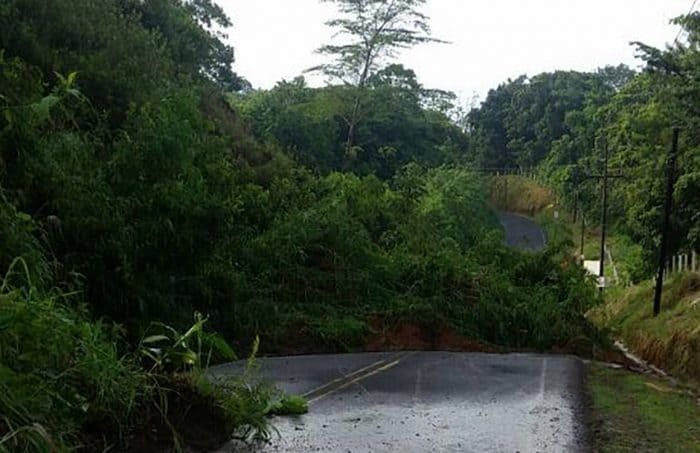 The Public Works and Transport Ministry (MOPT) on Thursday afternoon reported that there are at least seven major landslides along the road between Nuevo Arenal and La Fortuna de San Carlos, and on the road from Tronadora and Viejo Arenal. Passage on both roads is completely blocked, MOPT said in a news release. CNE crews conducted on-the-ground and aerial inspections of the area on Thursday and evacuated eight families. Mud and debris from the landslides damaged their homes, but all of the families are safe, the agency reported. Officials from MOPT’s National Roadway Council arrived in the area to assess the damage on the roads. Crews, however, are waiting for better weather conditions in order to begin to clear debris and reopen roadways. CNE officials asked the Municipal Emergency Committee to conduct a full review of emergency supply inventories. They also called on residents of those communities to remain alert and to report any problems. The CNE also sent crews to nearby areas to inspect other communities and areas prone to flooding and landslides. Meteorologists from the National Meteorological Institute expect the influence of the tropical wave to decrease over the weekend.